Hello Galorians! Being my first review I believe I have to begin with a classic silent German expressionism film penned by Screen Writer Henrik Galeen, whom also Scripted “The Golem” 1920. To be honest the origins of the story belong credited to an irish traveling writer, Emily Gerard, who penned; The Land Beyond The Forest: Facts and Fancies from Transylvania in 1890, also Transylvania Superstitions in 1885. It seems she mistakenly translated Nosferatu into “the undead one”, when in fact among many wide-spread scholars theterm comes from Nosophoros from Greek Mythology “bringer of disease, orcarrier of the plague”. 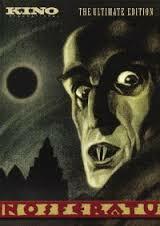 got his term Nosferatu for his vampire Count Dracula written 1897 published in 1908. 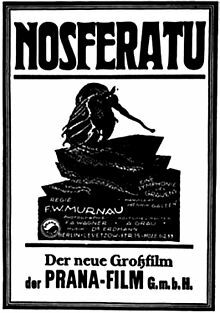 Founded in 1921 by Enrico Diekman and Albin Grau, Prana Film, named for the Budist concept of prana,put Henrik Galeento scripting the film adaptation Nosferatu With director Freidrich Wilhelm Murnau. Murnau openly gay at the time as I did not know this before my research into his life was in the dark like Galeen about the fact the film was unauthorized due to a copyright issue. After Galeen realized this he left the project, Murnau had to rewrite twelve pages due to missing ink in the last scene, which i found interesting as well. Instead of arriving in the form of a wolf and running around as a bloodsucker terrorizing the city in Stokers’ Dracula, count Graf Orlock played by actor Max Schreck, he arrived in the form of the plague with rats and people with bite marks like a.vampire. Instead of Van, Helsing, Arthur and Quincy along with three vampire brides it was Orloff, Hutter, ellen, Harding, Professsor Sievers, Knock, Professor Bulwer, Ruth, even Max Schrecks’ wife Fanny Schreck goes uncredited as a nurse. This was how Galeen changed things less for artistic reasons as pragmatic reasons. Hutter’s departure from Wisborg was filmed in Heiligen-Geist-Kirche’s yard in Wismar; this photograph is from 1970. An abandoned salt house the old Salzspeicher made up Count Orlok’s acquired house in Wisborg. Shots from St. Marys church in a tower over looking the marketplace in wisemar along with footage of the harbor and a churchyard made up the rest of the scenes in wisborg. The most difficult scenes were in the Vatrana Valley along the High Tetras along the Vah River near the city of Dolney Kubin wherethey picked up the head coachman as an extra, Josef Sareny. In this group of mountains Murnau had to have cameras pulled up and down on Pulleys over 5000 ft of terrain. Other Shots were taken from JOFA studios in Berlin. Not one but two castles were filmed for Orloks original home in transylania: Orava Castle, and Starhrad castle. Orava was used as his transylvanian home mostly, Starhrad was used in the last scene of the film when Ellen Sacrificed herself to the vampire and then Orlok destroyed by sunlight. As to actor Max Schreck he was reported to have lived in ‘ a remote and Incorporal World,” and often spent time roaming the forests. 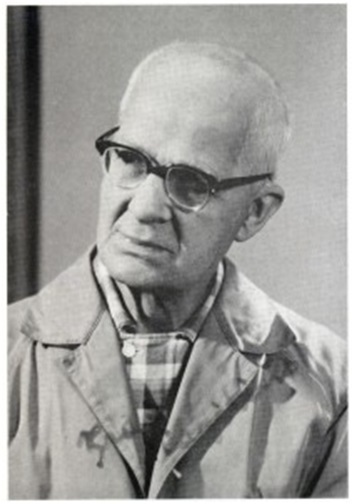 Often considered a loner he was also known for his great sense of humor and skill playing grotesque characters. Florence Balcome Stoker was furious probably directly from that statement. Her response was prompt and uncompromising as she was bram Stokers Literary Executor went Brittains Society of Authors and sued for copyright infringement ordering all copies be destroyed and all financial success be reverted to her. This took a couple of years because Prana Films Filed for bankruptcy to avoid payment to the widow but in 1924 She won and all copies were supposedly destroyed. Later in 1929 it resurfaced in New York and Detroit but there was a ban on playing Nosferatu anywhere until Francis Balcome Stokers Death in 1937.
a period of time from between 1815 – 1848. It began with the time of the Congress of Vienna at the end of the Napoleonic Wars, and ended with the onset of the European revolutions in 1848. We are also led to believe this was quite a large event where alot of Film critics and people in the know of film were to attend.